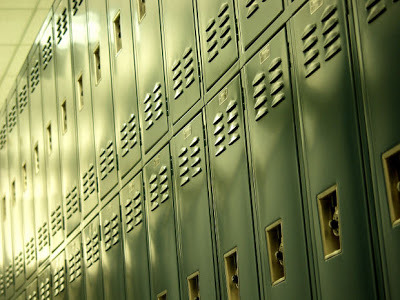 A locker is a big deal. At least it is when you’re a fourth grader and you’ve never had one before. Hopefully she paid no attention to the story her dad shared about his school days when kids were sometimes stuffed into their lockers. Oh, my…. It’s pretty amazing how a little thing can make you feel quite grown up. Read more about everyday moments at Tuesdays Unwrapped hosted by Chatting at the Sky. Aww I hope she enjoys her first day! hope your 4th grader has an exciting first day and stands tall knowing how much Jesus loves her and is with her! Precious! wow! lockers in 4th grade? i do remember the dry erase boards and mirrors – love that you wrote a message on hers! Love the message. I bet she felt special!